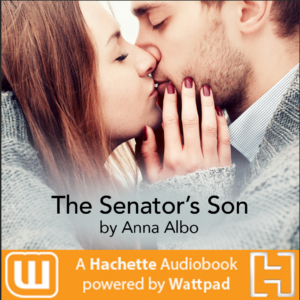 The Senator’s Son Audiobook is here! Now you can sit back and listen to Emma and Zach’s story. It’s available at all major retailers so check it out. This entry was posted in The Senator's Son Audiobook. Bookmark the permalink. I have read the Senator’s son and The Dealer’s Daughter…. And I have really like the work you’ve done. Just a great one. I am looking forward to read other book of this series. I really like to continue to read this series. So when is the next book be on wattpad? Good luck for doing a nice work. One of the best novel i hv read.Loved it to the core. My greatest past time. I am hopelessly in love with your writings. An art where only they have who are blessed. God bless anna. All good vibes and positivity. I’m deep in love with the characters.This book is one of my favorites and can’t wait for the next.I’m literally jumping when I got the update.Thank you so much author for creating such an amazing book.